New House …. New Neighbours is potentially the first story in a new series. It is not a Rags to Riches story. Will they be good neighbours? 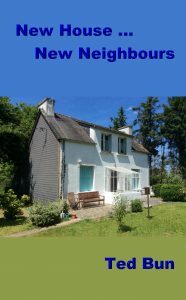 As Jerry and Fran, just retired from difficult jobs in the hospital, move into their new home in the village of Les Lilas, they are about to find out!! I think that the story telling is the best of your work to date and I cannot wait to read the sequels and that they are many in number.